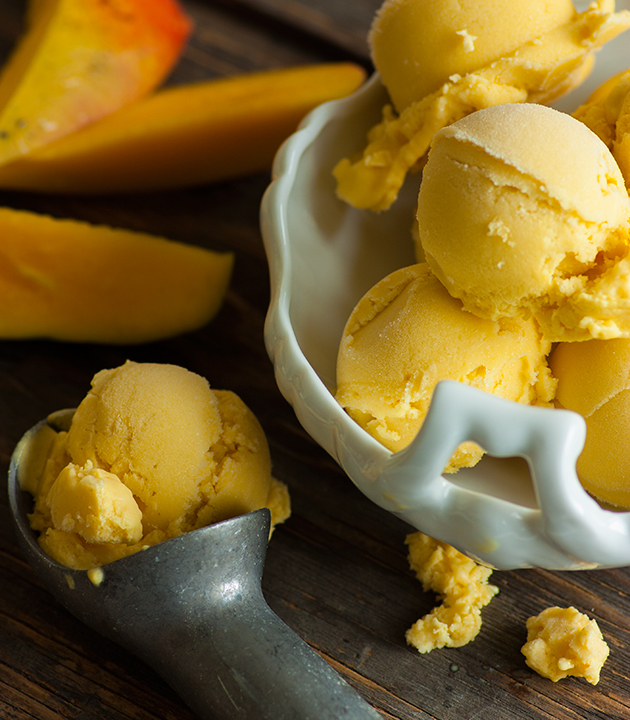 This dairy free mango ice cream conjures up memories of my childhood. My Tutu Bee had a gigantic mango tree in her front yard that was the envy of the neighborhood. Mr. Jack Frost Be On Your Way! It’s been a long, cold, windy six months and we are pining for warmer weather. For the last two days we’ve been snowed in. School was cancelled and roads were a mess, so we hunkered down and plotted. “How can we speed old Mr. Jack Frost on his way?” I asked the kids. “Let’s make ICE CREAM!” they cheered. So we did. And for good measure we added an extra dose of the tropical love—mango and coconut. 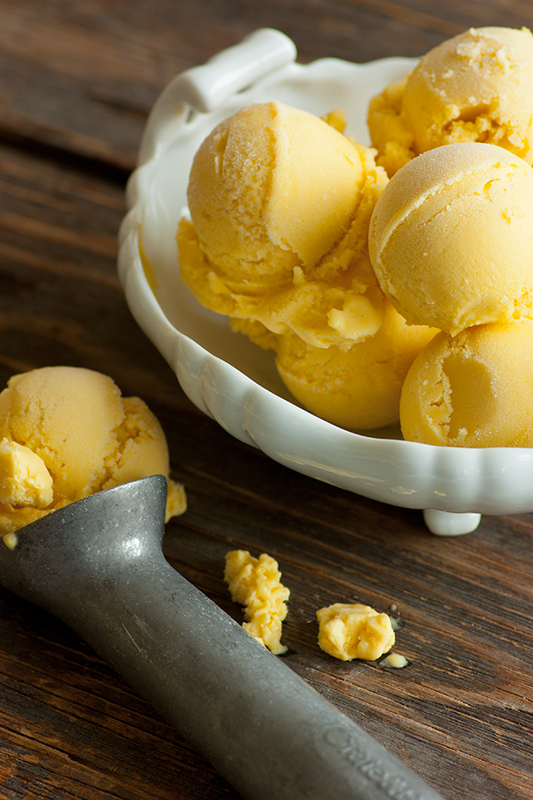 This dairy free mango ice cream conjures up memories of my childhood. Tutu Bee had a gigantic mango tree in her front yard that was the envy of the neighborhood. 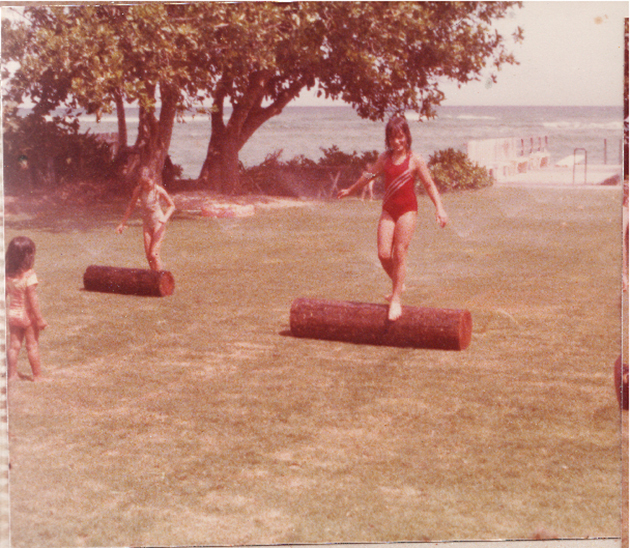 Summers with my cousins at Wailupe Circle were a highlight of childhood. We’d spend hours out on the pier (in the background above) dangling our feet off of the diving board and cannonballing as high as we could and splashing down into the deep blue. Summer visits always coincided with mango season—and that meant churning up gallons of mango ice cream. I make my ice cream lower in sugar by adding stevia. Feel free to replace the stevia with your favorite sweetener, to taste. Add ingredients to blender container; cover and blend until smooth. Refrigerate (or stick in freezer) until chilled through. Add to 1.5 quart ice cream maker and follow manufacturer's instructions OR pour into popsicle molds for pops. Using fresh mango? If you would like to use fresh mango, I'd suggest chopping and simmering the mango with a little water to help break down the pesky fibers in the flesh. Simmer it for a bit, let cool, and then puree. This looks absolutely wonderful. I'm lactose intolerant, so I'm excited to try this recipe. 🙂 And, my, what a lovely photo! i love mango and coconut…thank you for this! i can't wait to make it…i just have to buy mango puree. looks delicious! This is gorgeous, Lex. I am pinning it! What size can of coconut milk??? I have three to choose from in my grocery store. I am making this. Hi Auntie Anne … yes, sorry … that would 14 ounce(ish) can. 😉 Enjoy! Oh man! This sounds delish Lexie. You're a fun Momma! I'm sick of the cold weather, I want to come and dangle my legs off that pier. Can we please? I just discovered coconut-based ice cream – amazing! I made a batch with pineapple, and now mango is next on my list. This week I made a dairy free ice cream birthday cake that turned out delish – here's a link http://lifeovereasy.com/ice-cream-cake-easy-pie/ I think I have A LOT of coconut ice cream in my future – yum! That is such a cute photo! Is that you? I adore mango smoothies and pops, I really need to do ice cream.